Creating a website shouldn’t be a chore; it can actually be fun if you use the right tools. Brizy is a WordPress page builder that looks great, features drag-and-drop tools and helps you create a website quickly and easily. What more could you want? Brizy is great for beginners because you don’t need to dive into the code. But more experienced designers also like it because the tool can help you build advanced designs quickly and easily. Here’s a look a Brizy and how the WordPress page builder works. Brizy is a drag and drop website builder add-on for WordPress. It lets you change elements of your theme, page, and post design with just a few clicks here and there, without code slowing you down. What’s more is that Brizy works with any WordPress theme. It helps you take the design to the next level, giving you the ability to change the layout or colors or fonts with click-based tools. Global color and font changes are a major timesaver! Brizy makes working with WordPress easy. Just download the plugin and install it on your WordPress site. (It works just like any other plugin.) Then you are ready to use the page builder. What’s nice about Brizy is that the interface only shows you elements that are relevant to what you need for specific tasks, meaning that the interface knows what’s in a specific block and what tools are used to make changes therein. Brizy is packed with global settings so that when you make a change on one page, you can apply it to end entire design in the same way. Global color and font changes are a major timesaver! There are plenty of pre-made design blocks as well. You can add elements with custom styling just by dragging them from the dashboard to the design. Brizy is packed with features. (It’s very likely that everything you’ll ever need is already made into the page builder. Innovative UX/UI: The interface is only there when you need it with contextual toolbars and options. Global color and font options: Control colors and typefaces for every page on your website with one click. 150 pre-made blocks: Jumpstart the design with premade sections that you can drag and drop onto pages. Save sections: Not only can you use pre-made blocks and sections, but you can customize your own and save them for use later or even create global sections or blocks for the entire website design. Create structure on the fly: Create specific structures for each slide so you have custom sliders without having to download additional plugins. 4,000 icons included: Icons in tons of categories are included in the build for you to use free. Plus you save all that time you would have spent searching. Move, change and reorder: The reorder panel makes it easy to rearrange sections on large pages without a lot of scrolling. Buttons are easy: Buttons and icons come with their own grid so that you can line up buttons side-by-side with ease. Create forms: You don’t need extra tools for common form types, just build using drag and drop. Easy text editor: create any size block of text in the editor and control the settings of each paragraph individually (great for special styling). Auto save: Never worry about losing your work again. Brizy saves everything as you go. Intuitive countdown timer: Add a countdown element that adapts to the user’s time zone. Mobile mode: Switch to mobile view as you build so you know what the design will look like for mobile device users. It also makes optimizing for small screens super easy. 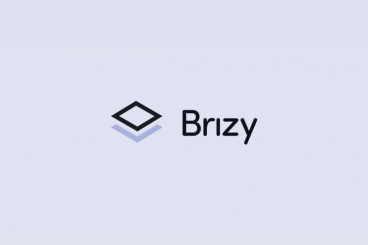 Works without code: Everything in Brizy uses drag and drop or click tools so you can make single or global changes with ease. Some of the most-wanted features are available from Brizy in a free plan – yes, free! Advanced functionality such as contact forms, sliders, and smart tabs are all included in the free download. Brizy is also offering a pro plan with a lifetime license with access to even more functionality, and it should be ready in September. You can find specific pricing for the pro plan, which looks like a good deal for designers with client accounts, on the Brizy website. It’s one of those rare tools that looks as great as it works. One of the best things about Brizy is that the tool itself features a sleek and beautiful design. Nothing inspires creating great things like working in an environment of good design. The interface is clean, starter templates are open and stylish. And every editing tool is right where you expect it to be. Each box “activates” with a dotted outline to show you that there are options you can adjust for the specific box (shown above). Make a square photo a circle with a click, line up elements and make customizations in a flash. The page builder design is intuitive and because it looks great, it makes working on a design fun, because you want to keep playing with the interface. Brizy does not feel, look like or work like a free tool. The beautifully designed interface makes life easy for WordPress users and is packed with premium features. The code-free page builder isn’t just for beginners; it’s made for anyone looking to save time when working in WordPress. Don’t just take our word for it. Download the free page builder, add it to your site (and theme) and play around. Installation takes only a couple of seconds and you are ready to see all the features and tools that make Brizy one of the neatest page builders we’ve tried. Our thanks for Brizy for sponsoring this post, and helping to support Design Shack.